Twenty four million chickens in the UK will be grateful. Although caged egg farming has not been phased out, the new types of cages which give the chickens more room, straw to scratch in, a nest box, a perch and a higher roof, should certainly allow them to lead more normal lives. The UK was among fourteen other countries which refused to follow a UN directive. The UN is now pursuing the other 13-Belgium, Bulgaria, Cyprus, France, Greece, Italy, Hungary, Latvia, the Netherlands, Poland, Portugal, Romania and Spain. According to a recent Australian article in The Age, caged hens produce 20% less carbon because hens allowed to wander freely require more feed to produce a kilogram of eggs than their confined cousins.This information came from The Australian Egg Corporation after it joined with the government to assess the carbon footprint of egg production. This however, does not take into account the other environmental impacts and health risks involved in this form of egg production such as the "impact on watersheds and the dead zones" and the higher incidence of salmonella and antibiotic resistance, or the effects on the hens themselves. Yes, free - range eggs may cost a little more - $1 whole dollar a week in my case, but I think it is well worth it in the interests of treating their producers more humanely and they simply taste better without the guilt. Animals Australia also has an excellent site. 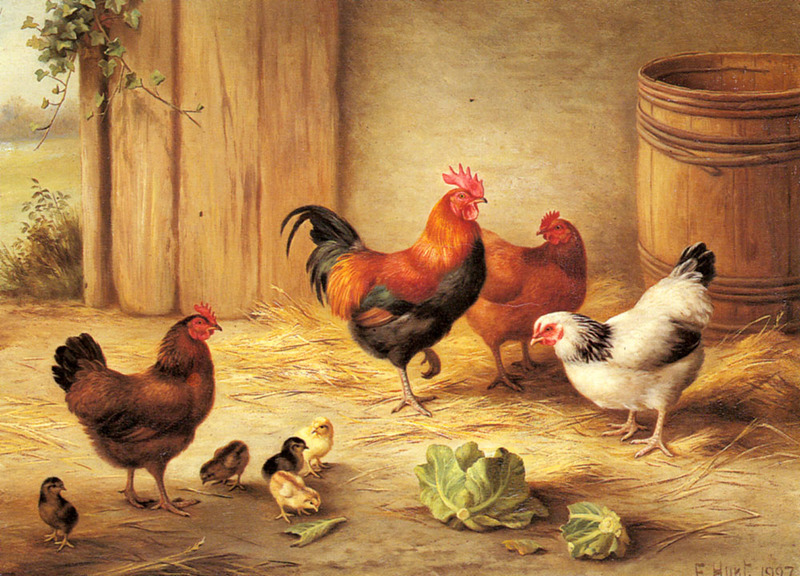 (The lovely chicken picture at the top is from http://www.museumsyndicate.com/images/2/11732.jpg) Thanks!